The poster contest provides kindergarten through 12th grade students the opportunity to express their thoughts on natural resource issues and conservation through art. Winners receive a cash prize and certificate. 2. 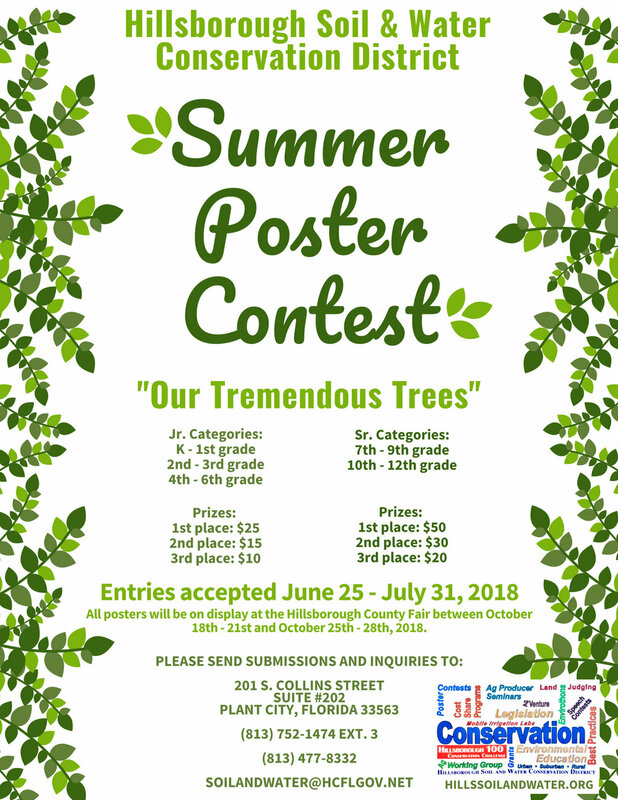 Local entries will be held by the District to display at the Hillsborough County Fair! come see your student's artwork on display! "Watersheds: Our Water, Our Home"